Sometimes it’s the smallest and simplest vintage item that is the hardest to find. I’ve written in the past about the popularity of the head band, or bandeau, for sports. 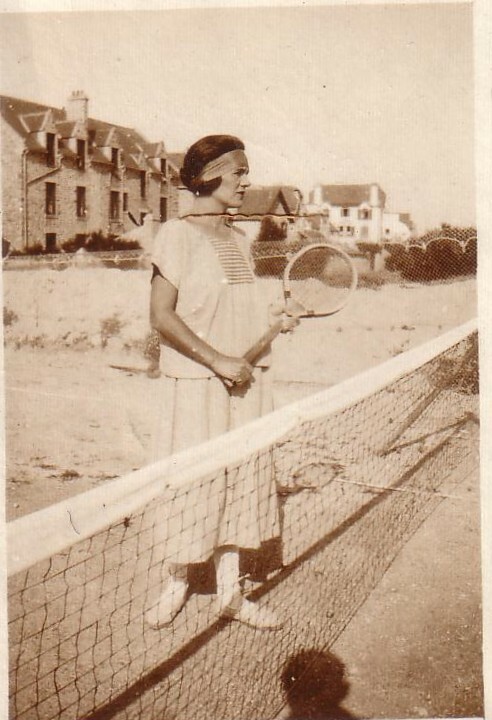 They are very commonly seen in photos of women tennis players of the 1920s, but a search for one for my collection was proving to be almost impossible. For some time I’ve been coveting one Susan Langley pictured in her book, Roaring 20’s Fashion: Jazz. Her example was new and on the original sales card. 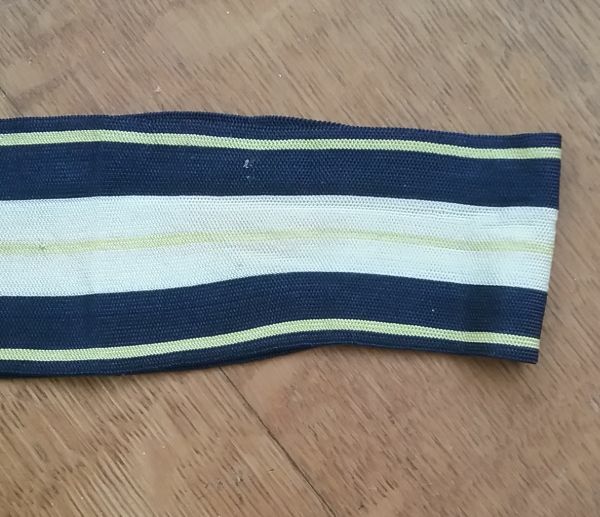 The problem with finding a 1920s sports bandeau is that it is obviously a stretchy knit band, and many women would recognize it as being for the head, but how many would see the specific purpose for which it was designed? I fear than many, when found, are not seen as item of significance. 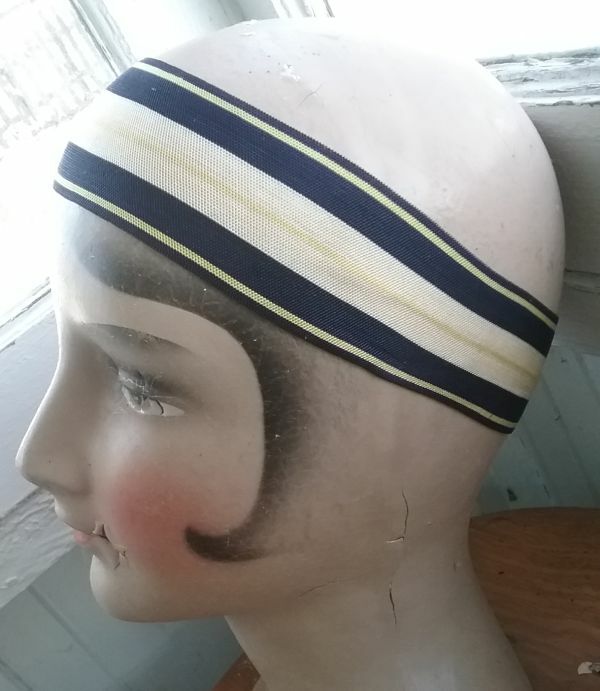 It’s just an old headband. Thankfully, one etsy seller, O2Vintage, did recognize this little piece and listed it exactly as it is. Through some miracle I found it, and how I have the desired bandeau. It’s finely knit of silk, and the five little decorative buttons are also made of silk thread wrapped around a base. 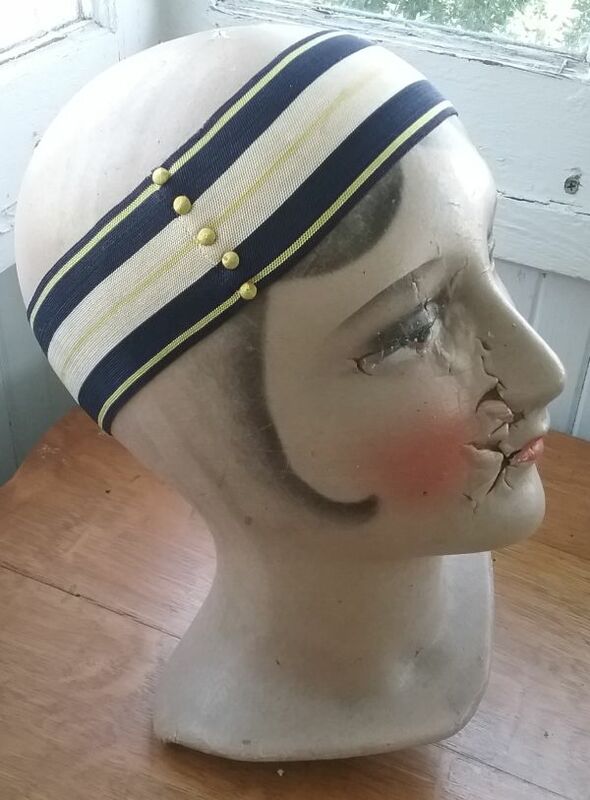 The condition of this little piece is incredible, and I suspect the wearer was more into fashion than tennis! Can you see where the band narrows slightly at the back? The wearer would not need nor want as much width where the bandeau is beneath the hair. In this flat shot the width change is even more obvious. Sometimes we take something simple like a hair band for granted, but even the simplest object can be designed with improvement of use in mind. From this early 1920s photo it looks as if I should have pulled the bandeau lower across the forehead of my mannequin. A quick look at the rest of my old photos show that these were worn just above the eyebrows, just as a cloche, the current style in hats, would have been worn. I have never seen one of these bandeaus before. I don’t have the Susan Langley book so would love to see the other example. They must be quite rare.